Ah yes, another lovely Friday has come upon us and that means it is time for a guest interview here on The Writing Piazza Blog! I used to call them guest author interviews but I have since branched out to include other interviews with fabulous people that work in the writing/publishing industry. I thought that might be helpful and interesting to read along with the interviews I will still be doing with published authors. Today I will be interviewing an author assistant. I’m a super curious person so I love that these interviews allow me to ask people lots of questions and learn all these new things! Yay! I’m beyond excited, so let’s get started! Hey Kate, why don’t you start by telling us a little bit about yourself. Hi everyone! I’m Kate Tilton. I come from New England but I’ve also lived down in Georgia (and will be moving back there soon) so I guess it is easiest to say I’m from the East Coast. 🙂 I’ve been an author assistant for four years now; I started my work in December of 2010. This year will mark the fifth year anniversary. That is awesome! 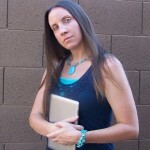 You’re the first author assistant I’ve had here on my blog (so exciting!) so I thought it might be helpful to describe what an author assistant does. The simplest explanation is an author assistant provides authors with more hours in their day so they can do the things only they can do, like write. One thing I’ve learned is that every author assistant is different. We each have different strengths and offer different services but what makes us alike and different from other professionals is that we take tasks off the authors’ hands so they can have more time to write. For me personally a lot of what I do falls under one of two categories: administration and marketing. On the administration side: sending information about the authors/books to those who request it, updating websites, organizing spreadsheets, mailing out prizes, and pulling sales reports. On the marketing side: reaching out to reviewers, creating book jacket copy, running street teams, and creating newsletters. Wow! I don’t think I know any writers who couldn’t use more hours in a day. (Except maybe when the kids are on break from school haha). But all those things sound so amazing to me. Like I wish I could put your services on my Christmas list so someone could buy them for me! As I mentioned above every author assistant is different. I’ve met some assistants who wouldn’t touch anything marketing related with a ten-foot pole, but I dabble in those areas. I have met assistants who will ghostwrite for the author on their social media channels, which is something I personally won’t do. The key is to know what drives an author assistant versus what drives another service provider like a marketer. Author assistants are focused on getting authors more time to write, and although in many cases this can lead to better sales, that is not the main focus of working with an assistant. If you are looking mainly to increase sales, you need a marketer. If you are looking to increase visibility, you need a publicist. If you are looking for more time to write, you need an author assistant. You are really impressing the socks off me right now Kate, oh wait, I’m not wearing any socks. But still, color me impressed! I think from a writer’s perspective that was all very useful information. It is definitely something an author needs to consider when looking into hiring an assistant. They need to be sure that whomever they hire is willing to do the tasks they are expecting them to do. It’s something you need to find out up front before you get into that situation otherwise both parties will be left unhappy. Go over what you need done and make sure your potential assistant will be willing to do those things. Because like you said, you may do something that another assistant won’t touch with a ten foot pole. Good stuff! One of the great thing about these interviews is that I get to ask questions about things specific to what I’m working on now or circumstances that intrigue me at the moment and one of those things is “street teams.” Can you tell us all a little about what they are and why an author might want to utilize them? A street team is a group of fans that band together to support an artist, author, band, or cause. Street teams are powerful marketing tools because they tap into an established group of fans and put them to work! Street teams also hone in on word of mouth marketing by encouraging your fans to share their love of your work with others. Street teams allow authors to direct their fans in ways that will help promote their books while also providing a way to give back to the fans for their loyalty and support. I think as an author it would be really helpful to have someone like you who really knows about things like that and has experience with them would be highly beneficial too. I’m all about not reinventing the wheel and learning from others whenever possible. That sounds like another check mark in the ole plus column for having an author assistant. I’m starting to wonder how I’ve managed all this time without one. Though I have to be honest, before I “met” you on Twitter, I hadn’t really thought of author’s having assistants (not they shouldn’t, I just hadn’t thought about it). It’s not a job you hear a lot about. Tell me how you decided to become an author assistant? I was in the car on my way home for Christmas from school (I was in high school at the time) and browsing Twitter. One of my all-time favorite authors posted that she was looking for an assistant. This thought thrilled me so much that I responded, asking if the assistant could be virtual. I got the job and have been an assistant for over four years now! I stalk (in the non-creepy way) my favorite authors on Twitter too! That’s so cool that you were able to get a job working with her. I keep trying to become BFF with JK Rowling but it just hasn’t happened yet. I wonder if she needs an author assistant. You make it sound so fun even though I see how much work it entails. With all the fun you seem to be having, what do you love most about your job? Of course I’ve also got to ask about the other side of things. What’s your least favorite part of your job? It can’t all be rainbows and butterflies and chocolate fountains. Surprisingly, my least favorite task is reaching out to bloggers. I LOVE book bloggers and love connecting with them but I also know how busy each blogger is. When an author would hire me for this job it would mean many hours spent checking out blogs and writing and sending emails to which most would never get a reply. I don’t blame the bloggers (I’ve had to stop answering review requests myself!) but it certainly makes for a very hard job. 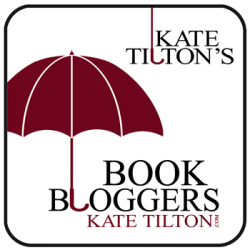 This is one reason I created my Kate Tilton’s Book Bloggers. I wanted bloggers who were looking for opportunities to be able to have easy access to them, and I wanted a way for authors to better connect to readers who were actively looking to get connected. Reaching out via my blogger group has become one of my favorite jobs now and I’m thankful to each and every blogger who has joined up and supported the group. I was so grateful you agreed to do this interview for me, now that I know you’ve had to stop answering review requests I feel even more special! Thank you so much for taking the time to do this interview with me! I’m sure I will thank you at least three more times before we’re done but it’s true. I’m grateful for every opportunity like this because well first of all it’s so fun and second of all I learn a lot but mostly because I know how incredibly busy everyone is. So it means the world to me when people take time out to do these interviews with me. Since this is a blog about writing and writing is all about telling stories, what’s a story you love to tell about your job? I get to do some really cool things with my job. Some days I get to beta read (Seriously, being paid to read is heaven.) Some days I get to go on trips to meet authors at book signings or conventions. Other days I get to connect with authors and readers on #K8Chat. And some days with my social media work for companies like Book Design Templates I get paid to work on our Pinterest boards. I like to share all of these little stories. And I’m hoping someday to have even bigger stories to tell. Those all sound like heaven! I’m sure you will have plenty of fun stories to share but come on, you get paid to read and go on Pinterest. The rest of us are going, “I do all that for free!” You already have great stories and we’re all super jealous (in the totally happy for you kind of way) and want to be author assistants now. On that note, what advice would you give to someone interested in becoming an author assistant? Don’t do it if you think it will be easy. Unless a company hires you (and I have yet to find a job position of author assistant in publishing) you will be self-employed. There is a lot of work that comes with that. If hard work doesn’t scare you, take time to research what self-employment would look like in your life. Check out what taxes you’ll be paying, what paperwork you might need (for example I’m now at the point where I have an LLC, limited liability company). Being an author assistant is a hugely rewarding job. It is full of great people and opportunities. Do your research, work hard, and go with the flow! All excellent points. And the lawyer in me is celebrating your wise decision to form your own corporation. The tax and liability benefits you receive from doing so make it a wise investment. But yes, always do your research first! How about on the other side of things. What about for authors considering hiring an assistant? When would you recommend they do so? I think we just had a Braveheart moment there. I was shouting yes to all your questions (well except the funds part, my wallet made a derogatory snorting noise at that one). But still, I think it definitely sounds like something to consider making a priority when the funds do role in. For those of us planning (or dreaming) to hire an assistant, what are some things to be wary of? Like most service-based occupations the more experience an assistant has, the more you are likely to pay, but you can find talented assistants at any experience level. A student may work for as little as $5 an hour (with college credit) while an experienced author assistant may charge $25-$40. Compared to a marketing consultant who may charge $150-$300 an hour, an author assistant can offer cost-effective help at any budget level. Working with an author assistant IS a partnership. Your assistant will be there to help with anything and everything, so make sure you enjoy their company and can communicate well with one another. Make sure the assistant is professional. Check their website and social media. Are there lots of errors or poor formatting? Look for the assistants who pay attention to details and have clean, professional websites. Most assistants can guide you in the services you may need, but no one knows your book and needs better than you, the author. Take a few minutes to research the skills of each assistant and look for those matching your needs. As if you were hiring an employee for your company look for recommendations, current and past work experience, and book acknowledgments. Absolute perfection. Seriously, you’re making me look really good here with your amazing answers! If we could change directions now (I do that a lot so thanks for bearing with me, did I mention how thankful I am that you’re doing this interview with me?). Having worked so closely with writers, how important would you say social media is for authors today? Social media can be a very powerful business tool. Not only did I get my first job by being on Twitter at the right time, I have gained numerous other clients by being active on social media. People have also found me from meeting me at an event or from a guest post or interview I have done. My point is that all of these options help. The key is not to try to be everywhere, but to pick a few places where your audience hangs out and provide them with engaging conversation, advice, resources, and stories. Great advice! Do you have any other tips for new authors just starting out? For new authors, focus on one or two social outlets (Twitter, blogging, Facebook, vlogging, newsletter, etc.) and then slowly expand your presence. You’ll find that taking the time to master each channel in turn is much easier and more realistic than trying to do them all from the start. So true, so true. There are so many social media sites now it can feel overwhelming. I do Twitter, Facebook and Instagram (in addition to my blog) and someone was like “omg you need to be on Google+) and I wanted to break things. But I’ve been working slowly to build up the sites I’m on now and if I have any time left over I jump on Google+ and work there. It is definitely a lot to manage but you’re absolutely right, slow and steady not only wins the race, it keeps you sane in the mean time! It would definitely be a good thing to have help with, like maybe from an author assistant. 😉 If some of my readers are interested in connecting with you, is that something you’re open to and how would you recommend they go about it? Yes! You can frequently find me running off to events at Blue Bunny Books and Toys in Dedham, MA. I will also be attending Anime Boston and Book Expo America this year. If you are coming to either event and want to chat, feel free to reach out to me on any of my social media channels or my website. I invite all readers, authors, bloggers, publishers, librarians, and bookish folk to #K8Chat. #K8Chat is a publishing chat on Twitter where we talk about bookish topics each week, give away prizes, and connect as a community. You can join us at 9pm Eastern on any Thursday night by following the hashtag directly on Twitter or using a tool like Twubs.com/K8chat. We also keep a list of upcoming chats on katetilton.com/k8chat. And if you are interested in my services or just want to catch up you can find me at katetilton.com. That all sounds like a blast! I wish I was in the Boston area I would totally swing by those events. I will be sure to check out your chat on Twitter though. That sounds amazing! Thank you so much for your time and for being a guest on my blog! I appreciate you taking the time out of your hectic schedule to be with us today. Thank you for having me Kara! Kate Tilton has been in love with books for as long as she can remember. A relatively new voice in publishing, Kate has been serving authors behind the scenes since 2010. 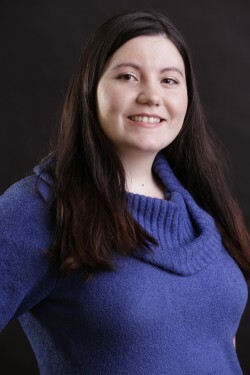 Founder of Kate Tilton’s Author Services, LLC, Kate works as an author assistant and social media manager with the mission of connecting authors and readers. 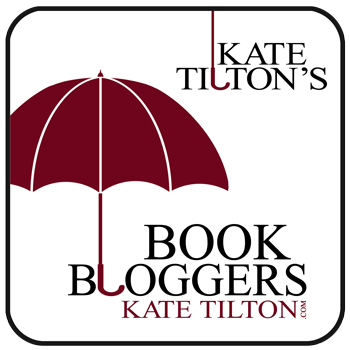 Kate is the creator and host of #K8chat (Thursdays at 9pm Eastern), a contributor to BadRedhead Media, and has appeared on popular media such as Publishers Weekly, The Book Designer, Kobo Writing Life and Rafflecopter. A cat-lover and fan of many geeky things, Kate can likely be found curled up with the latest Doctor Who episode, plotting world takeover, or connecting authors and readers in any way she can. I also wanted to include the links to her social media sites so you can connect with her and see what all she’s got going on. Thanks for being here. Hope you’ll take a look around the rest of my blog if you haven’t already. There’s plenty to see and read and I always love connecting with new people. For those of you who are regulars. Excellent interview with one of my favorite twitter friends! Kate Tilton is truly an amazing author assistant. I’ve never met such an inspiring, hard-working person like her before, and even though I hardly know any other assistants, it’s safe to say that she’s one of the best in her field. I love participating in her #K8Chat s. They are fun, informative, and you get the chance to make friends with authors & readers/bloggers. She really is fantastic! Thanks for taking the time to comment! That speaks to her awesomeness!